Training Day was built from the ground up by the hands of it’s members. This is a gym where members can take pride in ownership, because it is truly everyone’s gym. It was the mission of the founding owners and members to create a culture that is positive, family friendly, inviting, and offer exemplary programming and coaching. The research based methodology used to program our daily workouts, embody much more than a set of movements scribbled on a chalkboard. Our programming is designed to benefit anyone new to physical fitness all the way to the competitive athlete. Our coaches take the time to evaluate each athlete’s level of experience to determine proper movement and scaling. Every single coach at CrossFit Lacey is passionate about what they do and bring vast experience in training, athletics, and understanding of body mechanics. It is our highest priority that our athletes are successfully reaching their personal fitness goals in a safe and effective manor. When you walk through the doors at CrossFit Lacey, you can expect to be met with awesome people and professional staff. We believe in the importance of having a supervised, safe and fun environment for your children to enjoy while you are working out. Our experienced childcare staff love working with kids! Our kids room offers fun games, learning activities, music, and occasionally Disney movies. We offer childcare (at Lacey only) for a nominal drop in rate of $3 or $35 for unlimited monthly access. We value the importance of giving back to our local community. ﻿Throughout the year we participate in various community service projects, however we have chosen to primarily focus on the importance of our local youth and specifically our public schools. 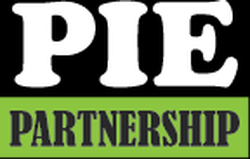 This year we have the wonderful opportunity to partner with the North Thurston School District as a PIE (Partners In Education) with Mountain View Elementary and Timberline High School. What this means is that aside from making monetary donations to help the school in areas of need, our staff and members will be volunteering time to support different events and school programs throughout the year. Our main objective is to help students and their families learn the importance of maintaining lifelong physical fitness and health. We are so excited to be part of such an amazing program and look forward to sharing all the fun happenings in this partnership!